Spring has sprung and I have never been more excited to wear dresses, shorts and sandals. I’m partnering with Walmart today to show you all the spring wardrobe goodies from their We Dress America campaign. 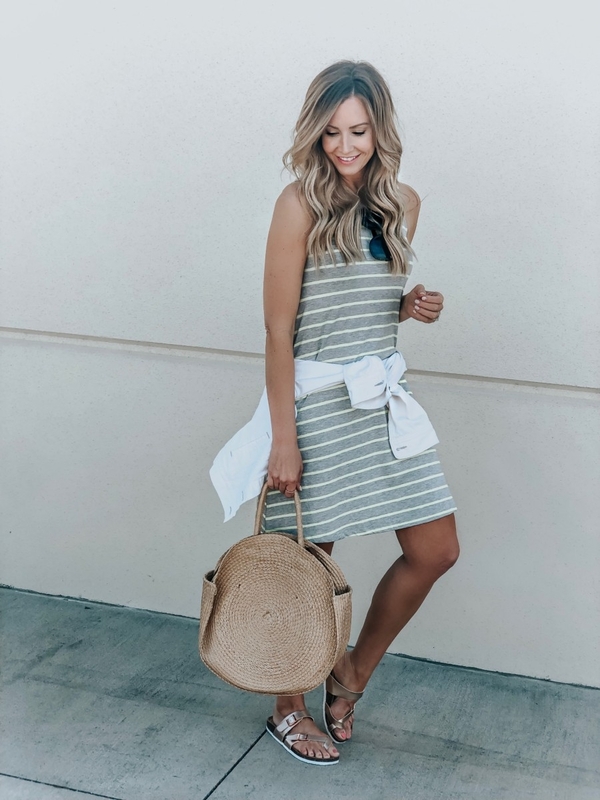 If you haven’t popped onto Walmart lately to shop for your spring wardrobe essentials, you are missing out! Walmart has an amazing assortment of stylish and affordable spring basics. Hold the phone because I found a pair of rose gold slides for less than $20!!! Hands down, these are my most complimented pair of shoes. They run true to size and come in three color options. 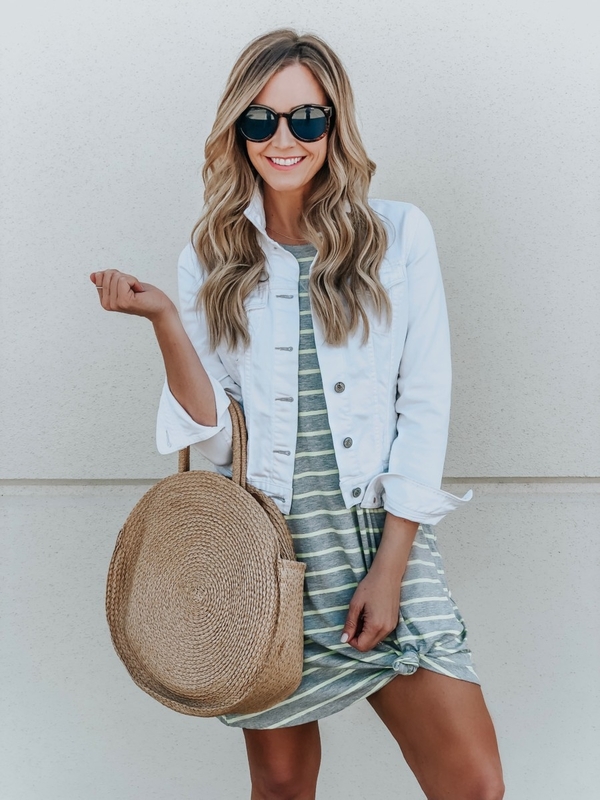 The ultimate spring wardrobe essentials have to be a white denim jacket and a swing dress. 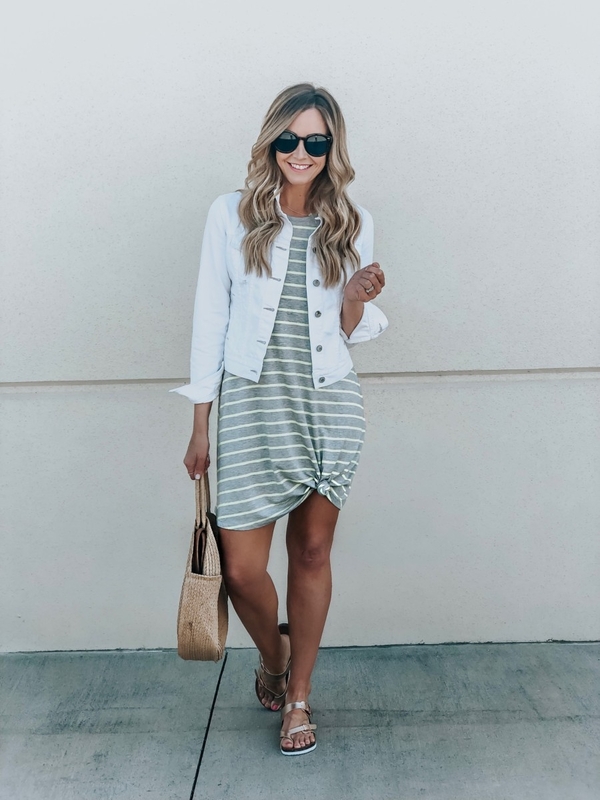 This $10 swing dress is comfortable and perfect for dressing up with wedges and a fun statement earring or go casual with these rose gold sandals and a denim jacket. My favorite dress tip is to add a knot to your dress if it is too long or to add interest to your look. I have found woven totes for over $100. 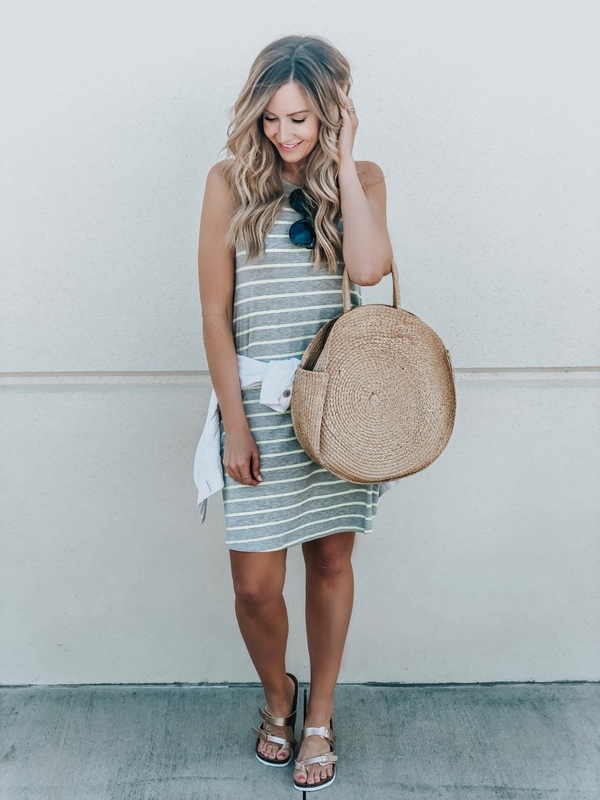 It’s time to save your hard earned pennies and snag this round straw tote for only $17. It has a pocket inside along with a set of leather shoulder straps. The same bag also comes in a really fun striped version! Kimonos are all the rage this season. Wear one during the day with shorts or take it to the pool and wear it as a swim cover up. Don’t you love pieces that do double duty! This one has adorable tassels, strips and a crochet strip in the back. Denim shorts that fit well are so hard to find. I was randomly shopping one day, grabbed these white raw hem denim shorts off the rack, didn’t try them on (GASP) and bought them. What sold me initially was the 4.5″ inseam. Why is it so hard to find shorts that don’t show your booty? Naturally, I texted all my friends on our group text and told them to grab these ASAP. I always size up in denim shorts. Lilac is big for spring. I grabbed this ruffle sleeve tee for less than $12. It fits true to size (wearing small). If you want a more oversized look, size up. this $15 set was coming home with me! This set runs true to size. Wearing a small. Thank you to Walmart for sponsoring today’s post.